Thanks for all the support you have extended. Looking forward to interact more from JWritings. Its hardly few weeks since Aravind Adiga's novel 'The white tiger' won the man booker price. Starting this week I am getting emails from vendors like indiaplaza.in, Crossword etc. about the deals/discounts they are offering for the book. While I was pondering which deal to go with, got a huge shock when I went out for lunch today. The pirated version of the book is already available on roadside shops for 145 rupees (check photo below). In countries like India, piracy spreads faster than the original version. When are we going to realize the importance buying original copies or start innovating around piracy? The San-Francisco bay area of the US is popularly known as ‘Silicon Valley'. Its wealth generation story is well known, where it created umpteen numbers of billionaires over the past three decades. Companies started from the valley literally rewritten the technology entrepreneurship, thereby creating history. The amount of contributions by valley based technology entrepreneurs to the bigger world is unbelievable. Starting from Hewlett-Packard to latest Google every other company has changed the world to a larger extent. These valley based world class product companies, literally created the term Multi National Company (MNC), which is a house-hold name today. It was mainly due to the valley entrepreneurs and their ability to take risk, identifying the opportunity and tapping the correct market had made all the difference. Added to that, world class universities, access to venture capital and world class minds created the ideal ecosystem for entrepreneurship. The famous dialogue "welcome to the real world!" from the Movie Matrix hit my head yesterday. I was watching all major news channels covering news about Jet Airways laying off 800 employees on a single day. Clearly the global financial crisis has hit India, starting with Aviation Industry. Going forward I see it affecting multiple industries, which would result in major job cuts, downsizing and salary cuts. For yuppy Indians, who earned five digit salaries from day one need to face the ugly face of capitalism in coming days. No amount of crying, cribbing, protesting or complaining to political party would help during turbulent times. This is not a typical governmental setup, but the reality -- let us face it! Only who has the capability to adapt will survive during difficult times. Its high time we say Good bye to double digit salary growths and frequent job hopping. I initially thought the book is about consumers–traders who try to maximize their rewards/returns in this pragmatic world. 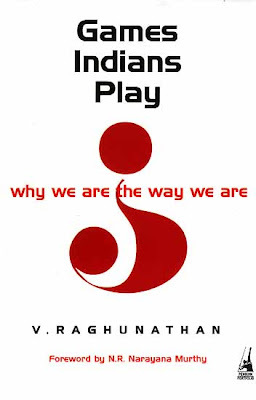 However, I realized soon, that the book is about social life in conjunction with psychology and philosophy. Raghunathan believes that we, the Indians, need self-regulation in the fist-place rather than regulation by external factors (i.e. law/government). He proved that behavioral economics, Game theory etc are nothing but the phenomenon we encounter in our daily lives, from which we fail to grab positive results.One interesting aspect which the author highlights is, Intelligence is not about quick returns but maximizing rewards by sustaining relationships. His analogy between Gita and Game theory is commendable. iPhone - Not India phone? It’s been a month since Apple's much hyped iPhone launched in India. In midst of huge expectations the product hit the market on Aug 22, with Airtel and Vodafone taking up the distributorship in India. In order to boost up the initial sales, both service provides kept their shop open throughout the night. More importantly India's 'tech' city Bangalore was all geared up to welcome this popular Gizmo, where many technologists lined up in the showroom to pickup their phone before their friends. The next day's local newspapers flashed pictures of proud iPhone owners from the city. The first say sales numbers were pretty good and everybody believed iPhone will take off in India in a big day, given its one billion population. Much against the expectations and media hype, the iPhone sales started taking nosedive in subsequent weeks and it has not even crossed 1500 handsets throughout India. It clearly proves that iPhone is a big failure out here. Inside Bangalore city, autos were supposed to be the best mode of transport in a cost-effective way. Compared to other metros like Chennai, Bangalore had a well regulated meter system in place, which was hassle free. Especially for IT employees, autos used to be used to be viable alternative to commute to workplace, back and forth. There were numerous folks who use autos to commute on a daily basis without any worries. In fact many of them preferred auto journeys, given the city traffic conditions. Added to that auto drivers were friendly and co-operative, thereby making the journey comfortable. Unfortunately over the past three to five years auto rickshaw journey has gone from pleasure to pain, and getting worse day by day. After traveling in an auto, individuals end up having head-ache, tension apart from emptying their pockets. Understanding spiritual history of India is not all that easy. It traces back more than 3500 years in time and most of the contemporary interpretations exist in deteriorated form. The current state of affair is so pathetic -- sometimes makes one feel spirituality is worthless. At the same time, developing deeper connection with spirituality is very critical in order to achieve harmony within. Especially in the current materialistic environment, human beings have become more cynical, thereby closing all doors of self realization. In the current setup spirituality needs to be approached from a western, critical perspective where it can be learnt by applying logic. 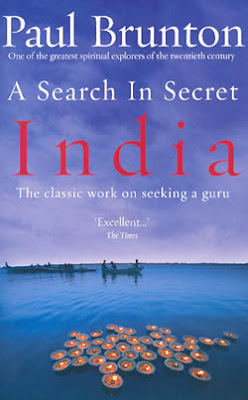 The book 'A search in secret India' is one such spiritual account written by a westerner with an analytical approach. For present day Indians it provides a simple, logical but very insightful journey into spirituality. Got the link for this presentation from one of the blogs. Summarizes important aspects of entrepreneurship.